The Bn moved into the support lines at at H.30.a, Blaue Pourt Farm1 and Armagh Wood2. Except one NCO wounded and Sgt Maj Sharp killed (see burial book) these were three quiet days. On the night of 21st and 22nd the Bn was relieved by the 4th Bn East Yorkshires and moved back to Dickebusch Huts3. This was a difficult relief due to traffic congestion. Usual refitting, reclothing and Coy parades. On the 23rd Gen Sir Douglas Haig came and inspected the Bn; it was a wet day and he only saw the men in their huts. A concert was held the same night in the YMCA hut, which went off successfully. The 50th Divn relieved the 3rd Divn in a sector running from the Ypres-Comines Canal at 'The Bluff'4 to Trench '34', the 50th Divn front being held once more by two Bdes and extending from the Bluff to Trench 'A.3'. On the night of 24th, the Bn went up to the trenches at Mount Sorrel5 , between Hill 606 and Sanctuary Wood7 . The next two days were quiet, however, on the 26th Canadian officers, from the Bn due to relieve the 4th Bn, visited the trenches. On the 27th the Bn was relieved by the 5th Bn and proceeded to close support positions, with the Bn HQ at Square Wood8. The 50th Bde. Comprised of the 10th Bn - West Yorkshire Regt, 7th Bn - East Yorkshire Regt, 7th Bn - Yorkshire Regt, 6th Bn - Dorsetshire Regt. The 51st Bde. Comprised of the 7th Bn - Lincolnshire Regt, 7th Bn - Border Regt, 8th Bn - South Staffordshire Regt, 10th Bn - Sherwood Foresters. The 17th Bde. Comprised of the 8th Bn - Buffs, 1st Bn - Royal Fusiliers, 12th Bn - Royal Fusiliers, 3rd Bn - Rifle Brigade. The 72nd Bde. Comprised of the 8th Bn - Queen’s, 9th Bn - East Surrey Regt, 8th Bn - Queen’s Own and 1st Bn - North Staffordshire Regt. The 73rd Bde. Comprised of the 9th Bn - Royal Sussex Regt, 7th Bn - Northamptonshire Regt, 13th Bn - Middlesex Regt, 2nd Bn - Leinster Regt. 50th (Northumbrian) Territorial Division - Comprised of the 149th, 150th and 151st Infantry Brigades. The 149th (Northumbrian) Bde - Comprised of 1/4th, 1/5th, 1/6th and 1/7th Bns - Northumberland Fusiliers. 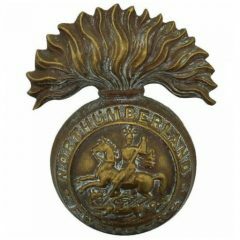 The 150th (York & Durham) Bde - Comprised of 1/4th Bn - East Yorkshire Regt - , 1/4th & 1/5th Bn - Green Howards and 1/5th Bn - Durham Light Infantry. The 151st (Durham Light Infantry) Bde - Comprised of 1/5th (Cumberland) Bn - Border Regt, 1/6th, 1/8th and 1/9th Bn - DLI. (Select link to find out more about this Brigade). 1st Canadian Division - Comprised of the 1st, 2nd and 3rd Canadian Bdes. The 1st Canadian Bde. Comprised of the 1st, 2nd, 3rd and 4th Bns Canadian Infantry. The 2nd Canadian Bde. Comprised of the 5th, 7th, 8th and 10th Canadian Infantry. Dickebusch Huts - 4.5km south west of Ypres. The Bluff -North of Hill 60. Mount Sorrel (Hill 59) - 4km east south east of Ypres and north of Hill 60. On the front line at the southern tip of Armagh Wood. Sanctuary Wood - East south east of Ypres. Square Wood - East southeast of Ypres.